Crafted for the King or Queen in your castle, The Parnella 10 Light Chandelier presents a touch of warm opulence blended with handsome rustic styling. 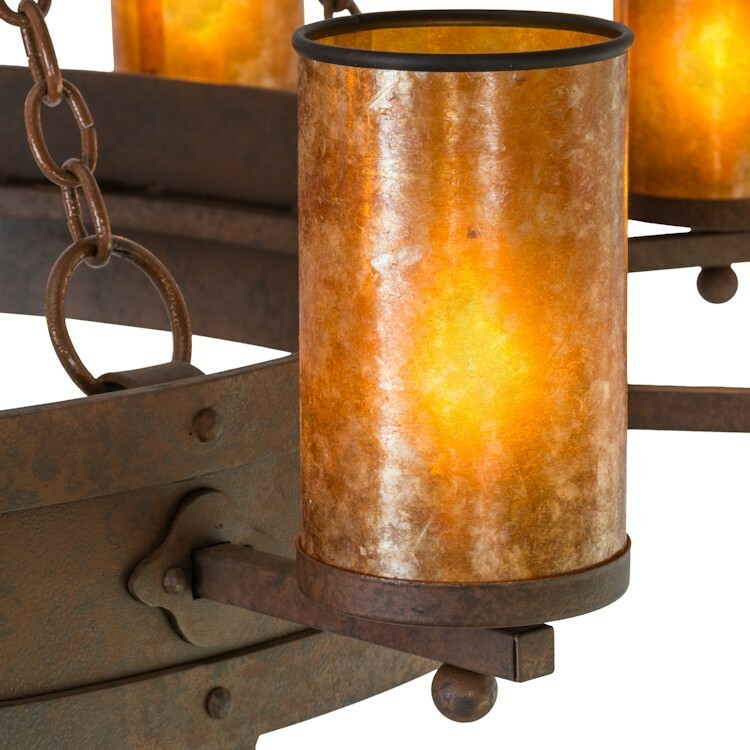 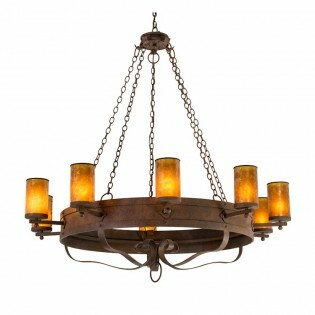 This chandelier offers an extraordinary transitional style as sparkling illumination evokes from 10 stunning Amber Mica diffusers that adorn the perimeter of the Solid Steel ring with decorative arms all accented in a Rusty Nail finish. 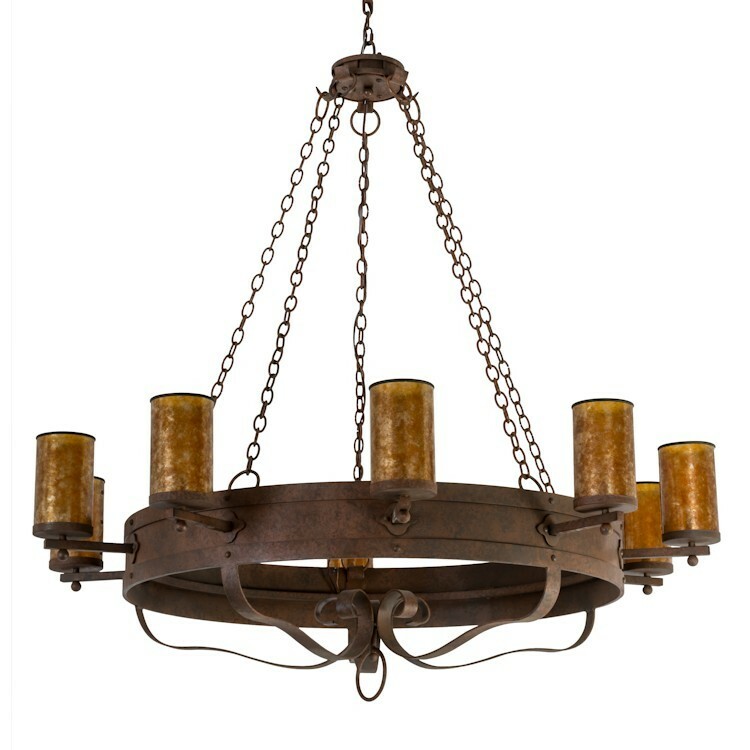 This bold fixture will make a design statement as a centerpiece in any room including an entryway, lobby, or conference room.